Sometimes we start to believe that our favourite chart stars are actually untouchable...and then we heard Ed's injury story. It has become common knowledge at this point that Ed Sheeran did some excessive travelling when it came to 2016. The 'Shape Of You' star took a complete hiatus from social media for an entire year leaving all with an Ed shaped hole in our lives. Download Ed Sheeran's No.1 single 'Shape Of You' now. However, now the singer is back in full force, the stories from his year off are finally making their way into the limelight and he's told us one we'd rather forget altogether! Ed revealed, "I put my foot into a boiling geyser, like a boiling pool on the top of a mountain - it melted all the skin off my foot,' before promptly adding 'this was on my birthday too, my 25th birthday." According to the '÷' songwriter, he couldn't walked a good few months too! Thank god he's back to full health, those guitar pedals can't push themselves. Download Ed Sheeran's 'Castle On The Hill' now. 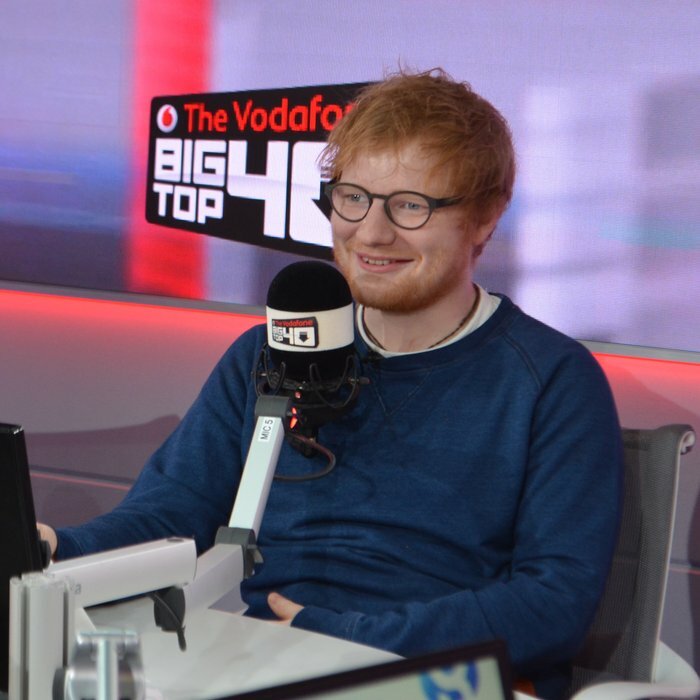 Ed bagged the Vodafone Big Top 40 No.1 spot just days after the single was made available to download.